Welcome to the NZXT Case Club! Join today and show off your rig, also discuss Nzxt case related topics such as modding, news, buyer reviews, issues and more! If you are one of the many users that takes pride in their Nzxt and would like to join the club just send me a PM with the name of your case. Find out about the latest and greatest products from NZXT here at TPU! 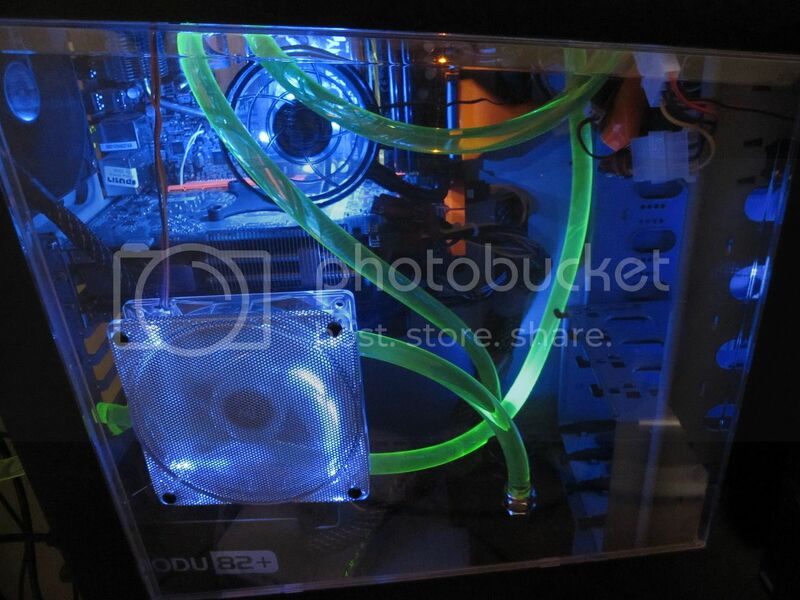 TPU's NZXT 'Used' Case 4Sale! Good stuff, I build a budget gaming rig for my cousin using the Beta Evo and it was great for the price. One thing though, the case REEKED of urine and the smell was there for days, I'm not sure if it was the paint job or someone took a piss on it at the factory. eww, I wonder if their warranty covers factory pee but really, that is strange. My most recent mod was a cut out for the mobo back plate. I got sick of having to remove everything to test other coolers and wc setups. My next mod will be to cut a square hole for my psu, so I can flip it to intake from the bottom of the case. My most recent upgrade was the GTX285 that replaced one of my 9600GT's. I decided to keep the 2nd 9600 as a physics card even though it's probably not needed. I also got some sweet xig fans from erocker that match my theme very well. No, just embarrassing to myself I respect the efforts that others have out into their cases. I can't wait to see your Tempest when it's done. lol snapshot, looks like ur still going strong at it hahaha. i received my tempest evo in december, and ended up not tweaking with it so much, except for CCFL at the top and bottom of the case. went with blue so i didn't have to change the front strips. Yeah, I've been wanting to see how your rig turned out. Post pics when you have time. haha sure. just curious though, why nzxt, and not just the tempest evo? Well I was just going to create a Tempest Club, but I really want to keep this thread alive. So I decided to do all Nzxt case to expand the users interest. Plus I like a lot of the cases this company makes, they have some really interesting designs. I love your HL2 inspired case t77, always one of my favorite themed cases on the gallery. Do you have the 140mm Xigs with the UV Orange blades and where the blades are pitch slightly more aggressive? it yes, do they move a lot air? You are missing the rogue, which i currently own. I got a pair of Nzxt cases: A Tempest and a Hush. Welcome to the club Yukikaze That's a sweet setup you got there! I just got a hush today. it was suppose to be a rogue. Thank you Snapshot. Congrats on your case, it looks amazing. Wish I had the patience and talent, not to mention imagination to create a nice case like some of you guys have here. Finally some recognition for NZXT, they do make good price/performance cases. Johnny puts us all to shame with his Evo (except for you Snapshot, loving yours too). My Tempest, waiting to change the tubing with this. 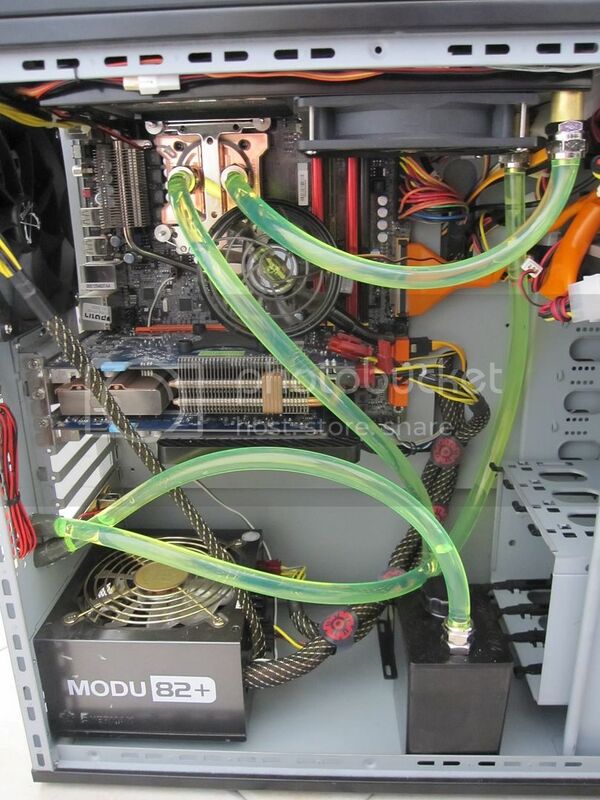 Also my other 4870 is getting some water love at the same time. Here's a pic of the current setup for those who haven't seen it. 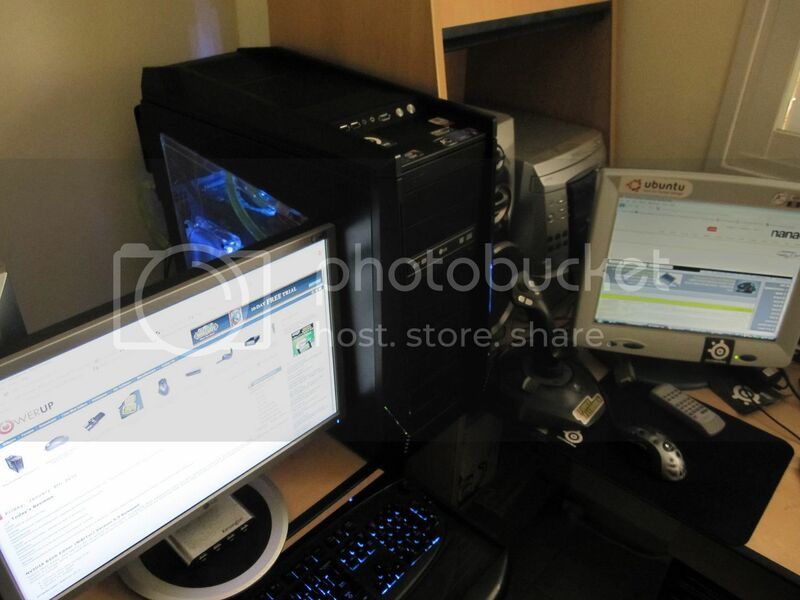 Sweet wc setup, I like the white led fans too. I will add the Rogue in there right now. Thanks man, this was first wc loop ever. Right now I'm not quite satisfied with it, but just you wait when I get the new tubing set. Haha well I can't wait to see your new setup. I just ordered my 1/2" tubing as well and my Tempest will be under water soon. BTW johnny what type of tubing do you use and were did you get it?